The Maui News – The King Kekaulike High School girls volleyball team ran its Maui Interscholastic League record to 5-0 with a 25-17, 25-10, 25-17 sweep of Baldwin at the Jon Garcia Gym on Thursday. 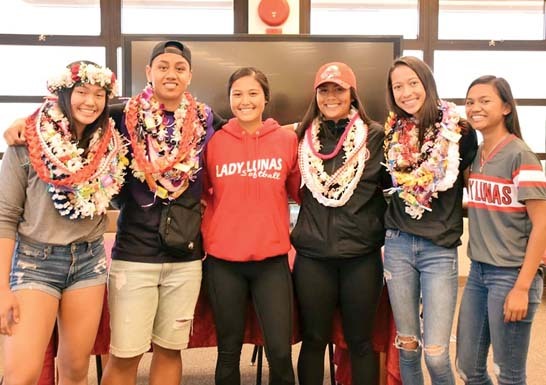 Nina Macphetridge led Na Alii with 12 kills and 10 digs, Nanna Inoue had 13 aces and 15 digs, and Kalena Vaivai dished out 29 assists to go along with two kills and two blocks. Baldwin statistics were not reported. Mileina Sniffen led Haleakala Waldorf to a 3-1 win over Maui Prep with 25 kills and six aces. HWS won 25-23, 22-25, 25-22, 25-23. Ramona Borchers was impressive from the service line tallying 13 aces while Izabelle Palmore added seven kills and Sekaya Verburg had six kills. For Na Pueo, Rebecca Geng chipped in nine kills and seven digs, and Jolene Munch had eight assists. Keeana Villamor had 16 digs from the back row.